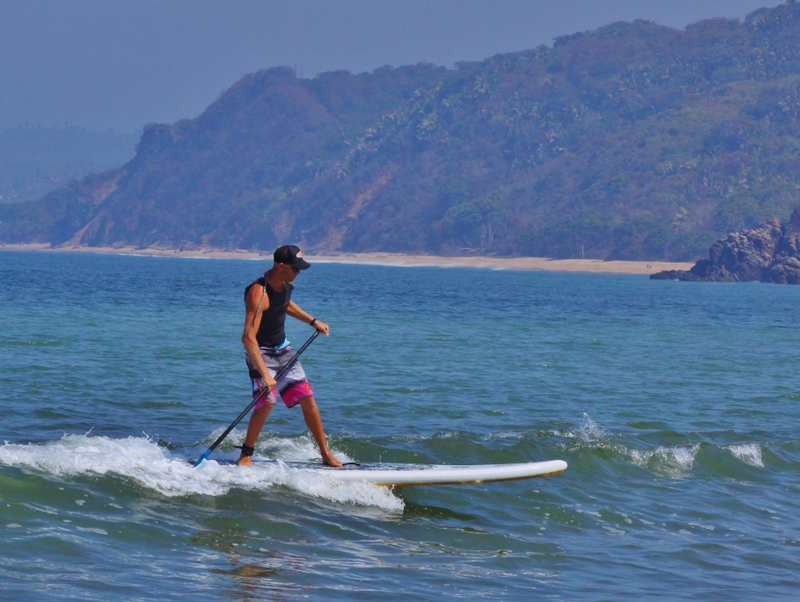 Mexico is a beautiful country mostly known for the beautiful beaches, and it has plenty of them, as it faces 3 coasts: The Carribean, the Gulf and the Pacific. A less know beauty are it’s rivers, and there are plenty of them which are great for exploration by SUP. 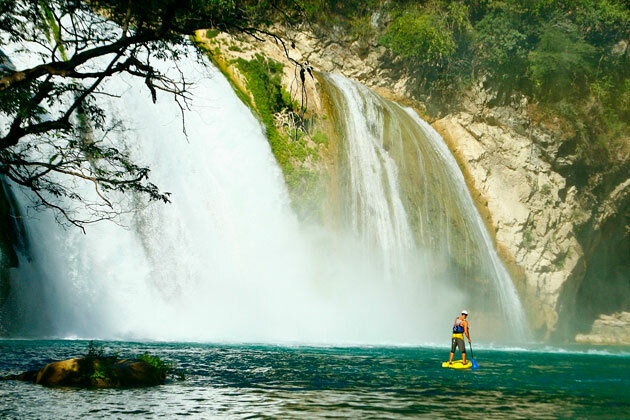 Of special interest for Stand Up Paddlers is the Huasteca area in the Sierra Madre Orientals on the eastern side of Mexico (nearest airport Tampico, 2.5 hours away). All of the rivers in the Huasteca region are spring fed, clean, and crisp with a deep turquoise blue color. 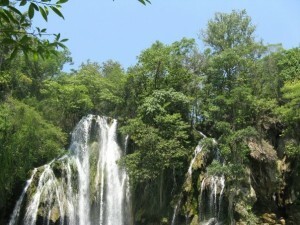 The area is also well known for the amazing waterfalls. Kajak Huasteca is offering guided tours in the area and shared some beautiful pics with us. Thanks, Aaron! The Lower Micos section of the Rio Valles has 25 rapids in 7 miles. All rapids are below class 3 and perfect to paddle standing up. The wildlife on Micos is incredible, herons, turtles, eagles and migratory shore birds can be seen daily. The Pescados River is one of the most famed and popular rivers in Mexico. 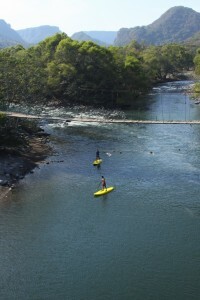 It has incredible whitewater. Among the several other well-known wildwater destinations, this particular water body stands out owing to its treasure of diverse rapids. As the Pescados River sports some high-rising waves, you get to enjoy maximum excitement including some electrifying rapids of Class IV for seasoned Stand Up Paddlers. Pescados river is an advanced SUP run and can be paddled with The Imagine Rapidfire Boards, which Kajak Huasteca is renting out. The Rapidfire is a roto molded, tough as nails, extremely stable Stand Up Paddle Board. 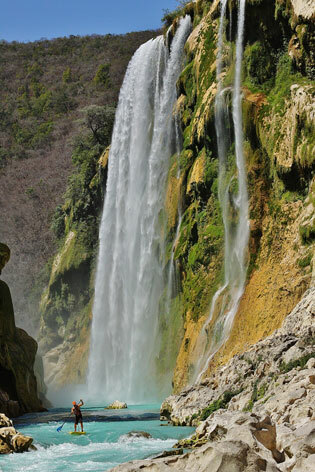 With a 105-meter (344-foot) drop, it is the highest waterfall in the state of San Luis Potosi and one of the most beautiful in Mexico, for its height and its famously crystalline torquoise water. Formed by the waters of the Gallinas River at its confluence with the Tampaon, Tamul Falls cascade into the Tampaon River. Twenty five miles downstream from the falls, as the crow flies, the Tampaon meanders past the ancient pyramid site of Tamtoc. Archaeologists believe that Tamtoc is the northernmost pre-Columbian city with pyramids in Mexico, and some speculate that it could be the place of origin of the Aztecs from which they launched their migration to the Valley of Mexico. After a 2 hour upstream paddle from the Huasteca Ranch you will reach this incredible place with no tourists!